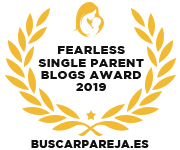 When I had a little girl 8 years ago, I had visions of her being cute and wanting to play with dolls and girly stuff. But Oh No! 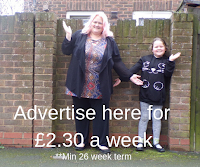 she has grown up in a house where you don't have to play with cute girls dolls and grow up to do hair and beauty. She had the influence of older brothers and sisters who encouraged her to play with all sorts of toys, So when she received some Zuru Smashers Series 2 products arrived last week, she was in awe of the grossness that they bought. Zuru Smashers are an unboxing to with a difference because there is no plastic wastage that comes with a lot of unboxing toys. The Smashers are little eyeballs that you smash open by tapping them on the table or something similar and they fall apart, revealing the toy inside. Then you keep the eyeball bits because they will go back together again to be reused or to keep your little Smashers together. 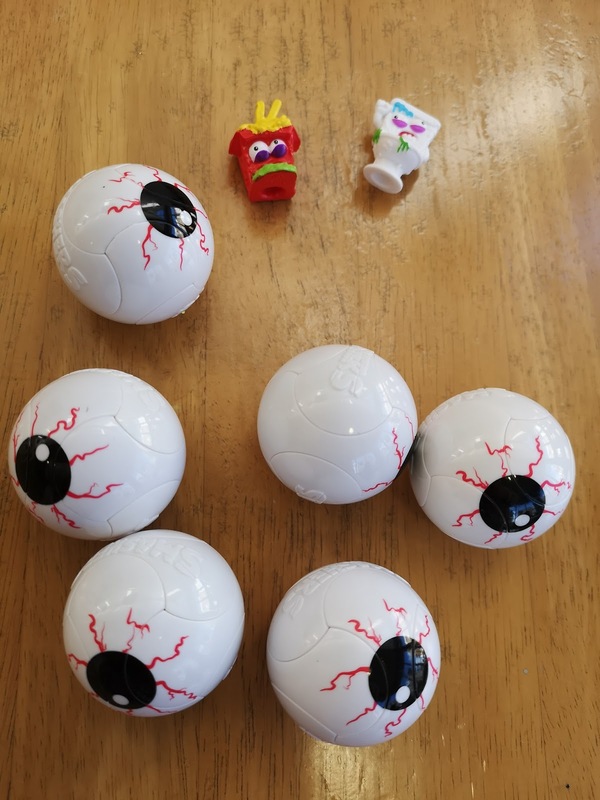 Tilly was sent an 8 pack of smashers, this pack included 6 eyeballs to smash and 2 Smashers that are already unboxed. 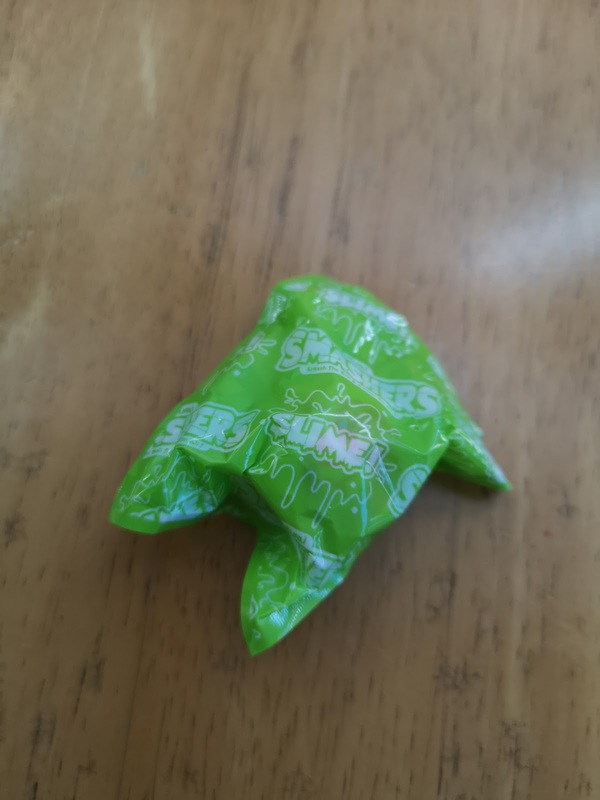 There was also a slime Smasher, this came in a plastic bag inside one of the eyeballs. 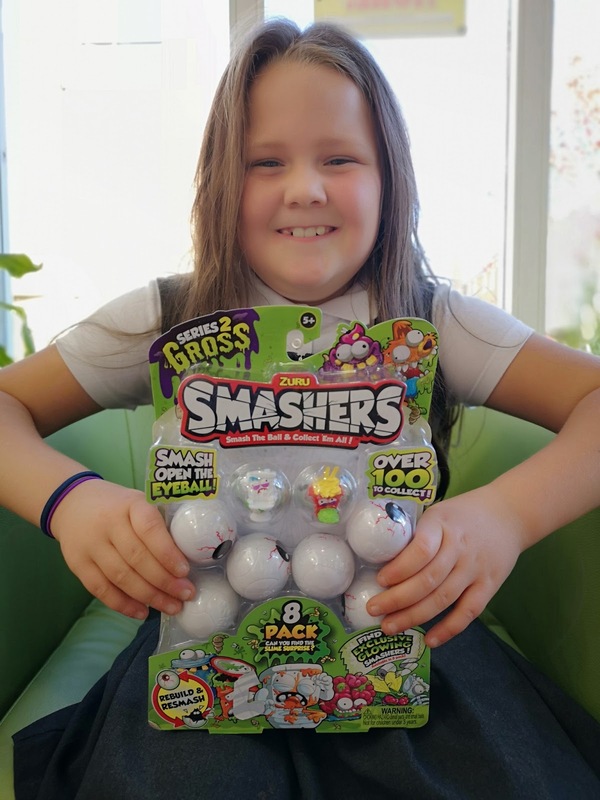 This added to the anticipation of the surprise because it was different from the other Smashers that she had opened. She knew there was going to be something special about it. 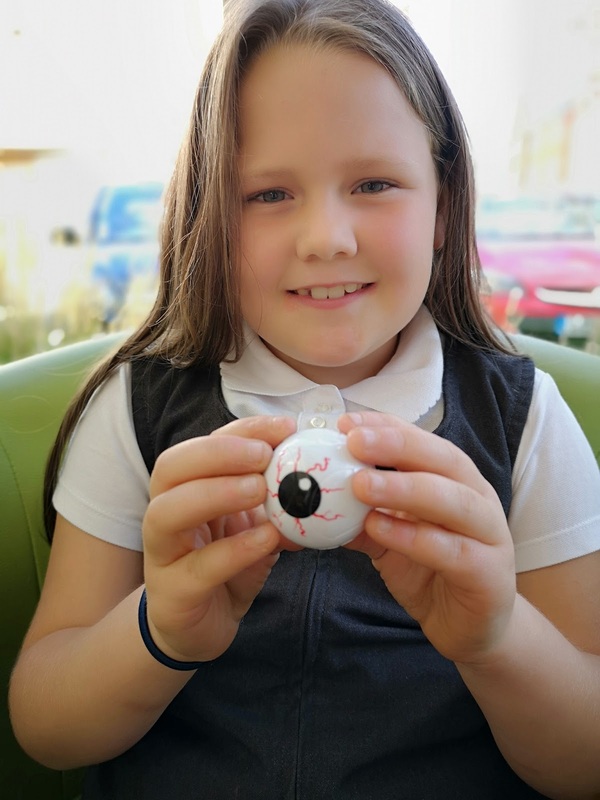 As I said earlier in the blog post, don't throw the plastic from the eyeballs away, because you reuse them, this saves on so much plastic rubbish going to the landfill and it means the kids have fun over and over again smashing the eyeballs. 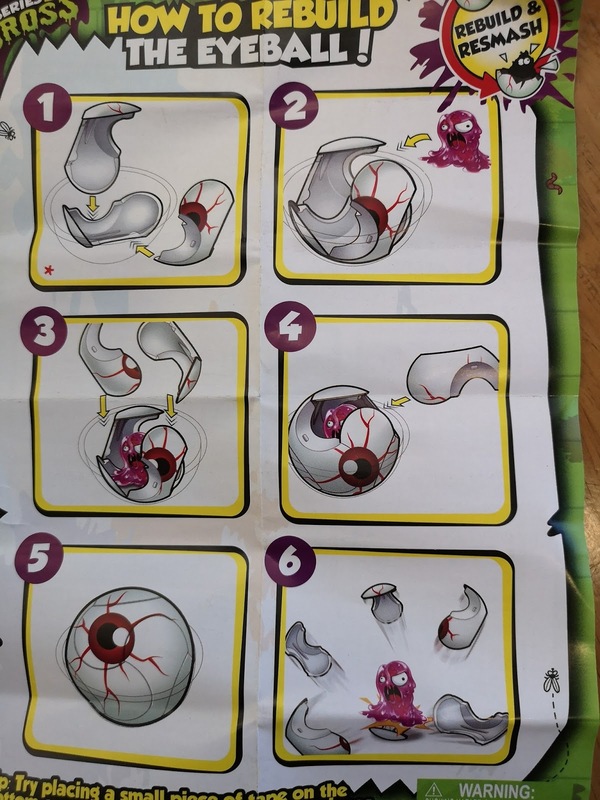 It would be lovely if more toy companies followed this example. Some of the Smashers have holes in the bottom of them, this is to place them on the toy bus that you can get in the series too. 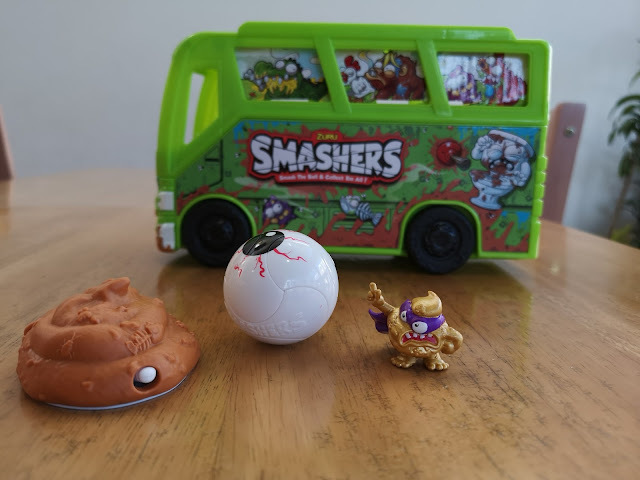 The Sludge Bus comes with 2 exclusive Smashers, one in an eyeball. 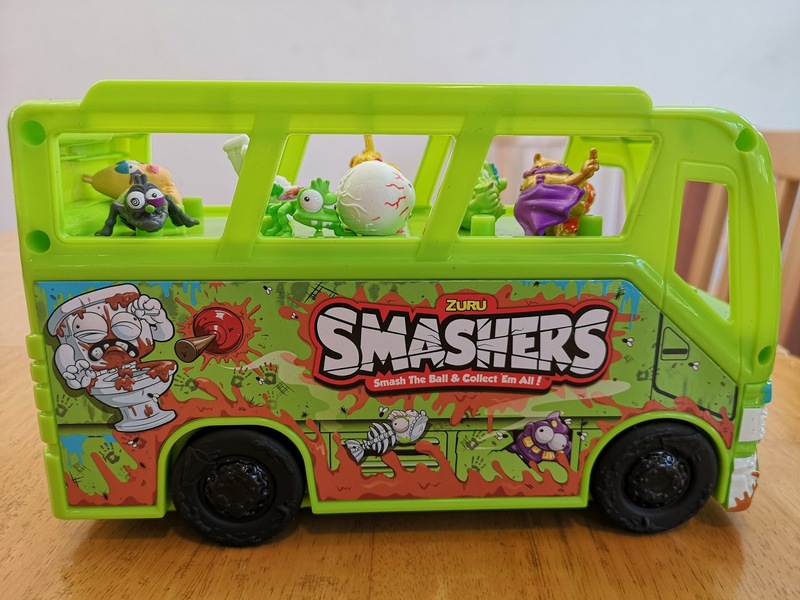 The bus itself has a top deck where you place all of your Smashers and they can ride the bus because the wheels go round, then you open it up for it to become a playset. 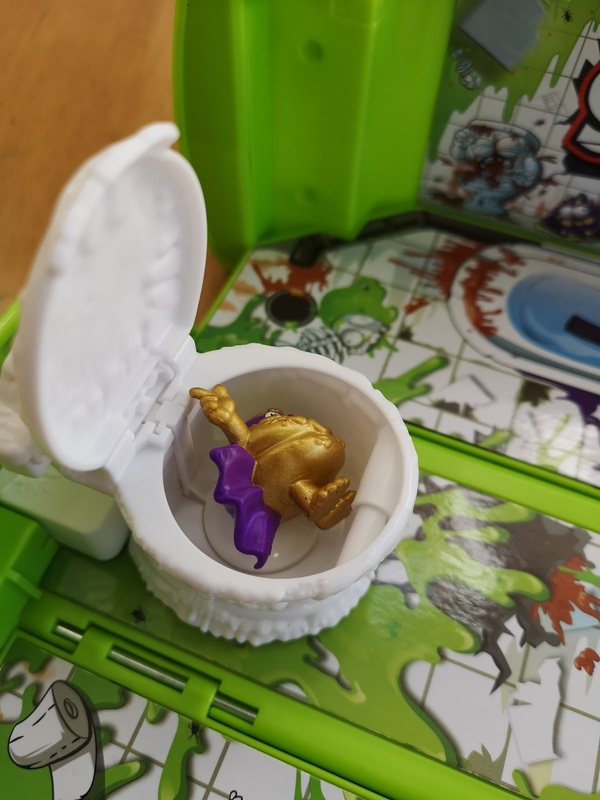 But this is a playset with a difference, it opens up and there is a toilet that opens and a springboard. 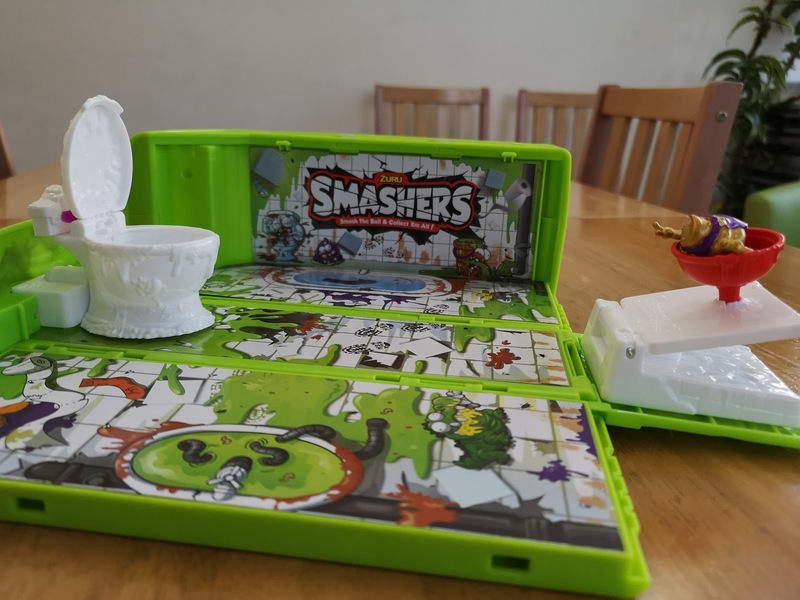 You pop the Smasher on to the springboard and let it go, the Smasher then flies through the air and hopefully lands in the toilet, but sometimes it overshoots and goes further than you want - so think about how much you use the springboard. 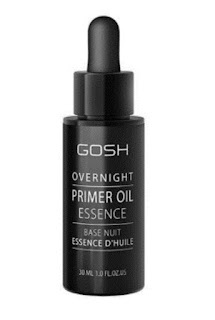 Tilly loves this because she gets such a thrill when the Smasher lands in the toilet. It makes her giggle so much because playing with the toilet is not allowed, she feels naughty. 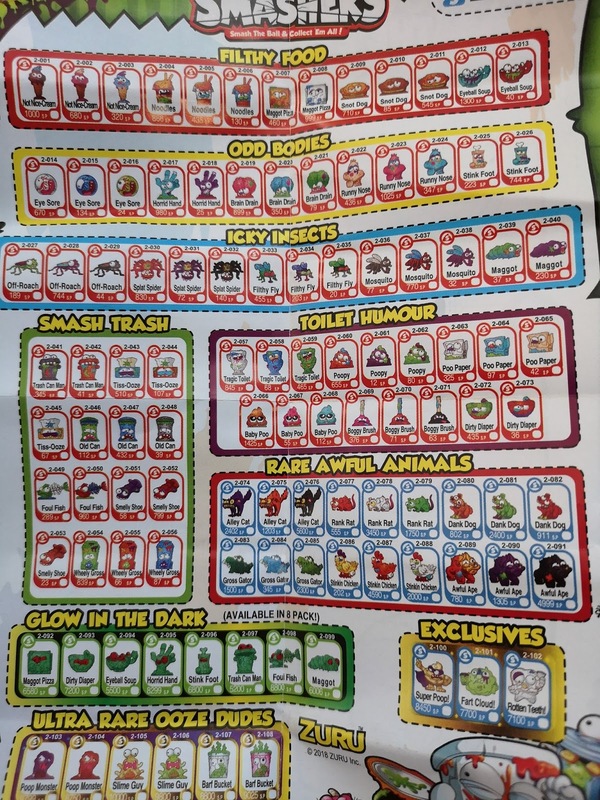 The playset has pictures of maggots and splattered poo all over it. It's funny and so gross, but its the type of grossness that kids love. The Sludge Bus also carries 50 Smashers in one go! 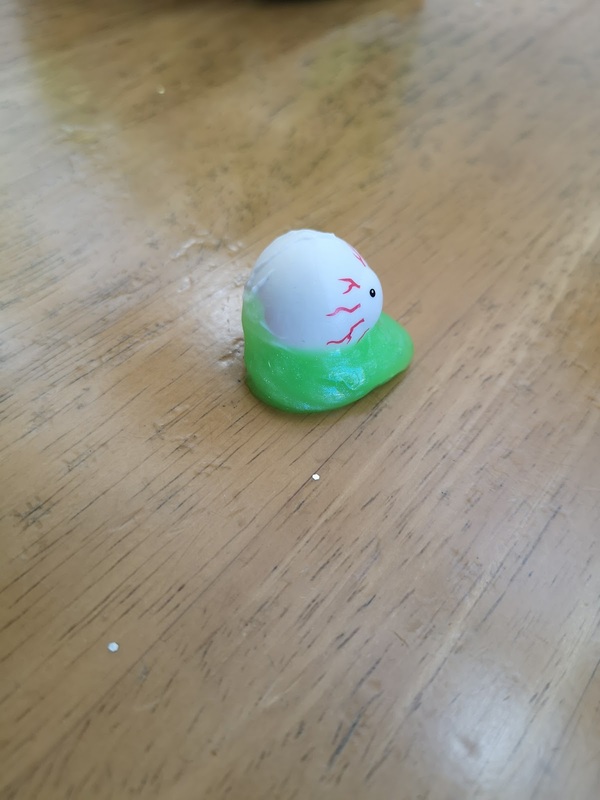 The set also comes with a plastic pile of poo, that has a maggot coming out of it if you press the button. 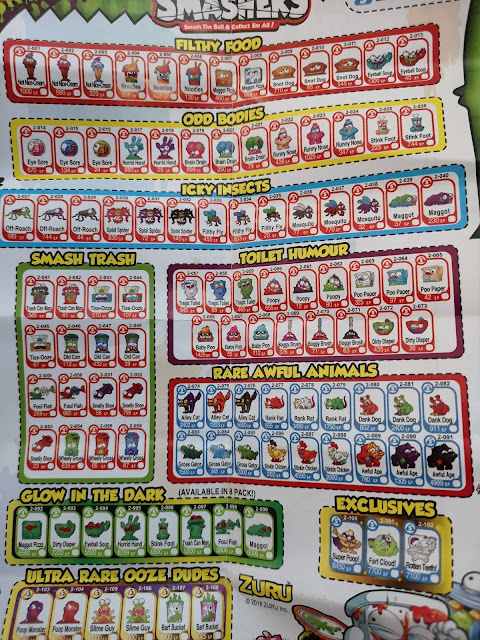 There are over 100 Smashers to collect and you get a tick list with the packs that you buy. 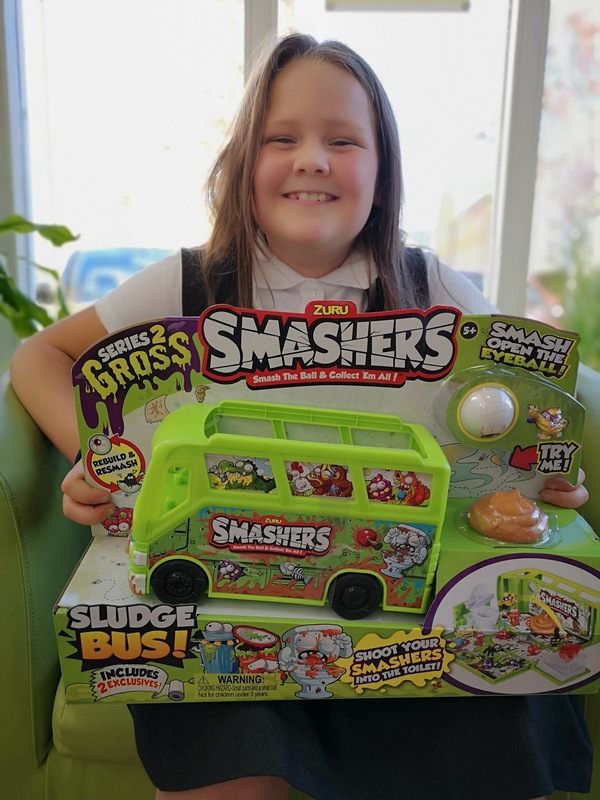 The series 2 Smashers 8 pack costs £7.99 from Smyths and the Smashers Sludge Bus is £22.49 from Amazon. 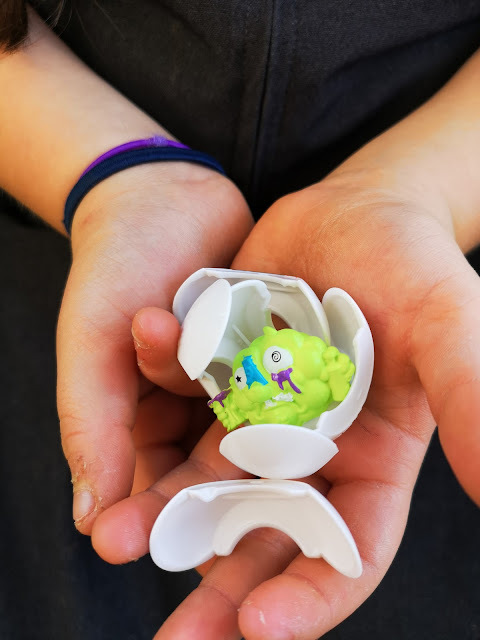 Both of these are perfect for a Halloween kids gift.